You can rest assured that Grasshopper Leisure provides all the electrical equipment you will need in your caravan, motorhome, or campervan! 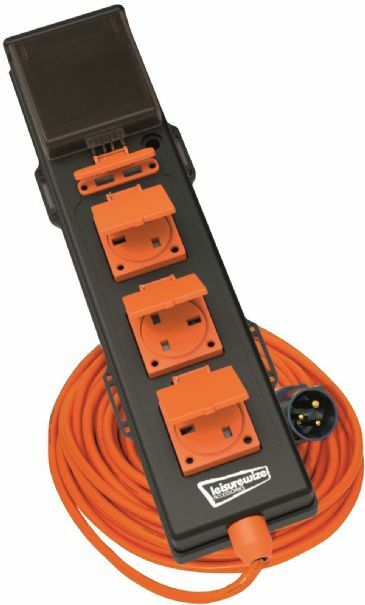 We offer specialist 240v Hook Up equipment, ranging from hook up cables to inlets to sockets! Allows water tanks to be filled easily. Pressure limiter reduces mains water pressure to prevent damage to internal piping and equipment installed. Fits universal hose connections. 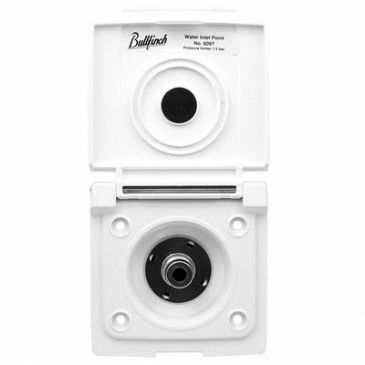 FAP External Shower Outlet in White. Diameter at rear of housing is approximately 110mm. Unit is delivered complete with outer cover / flap in White. This Mains 10 Metre Hook Up Cable is the perfect solution to hook up your electrical appliances in your caravan, campervan, or motorhome. Ensure your electricity supply is running smoothly during your outdoor camping adventures with this 10 Metre Hook Up Cable! This Mains 25 Metre Hook Up Cable is the perfect solution to hook up your electrical appliances in your caravan, campervan, or motorhome. 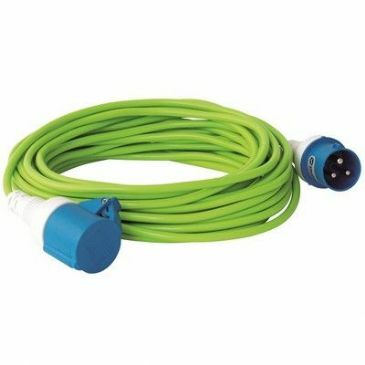 Ensure your electricity supply is running smoothly during your outdoor camping adventures with this 25 Metre Hook Up Cable! 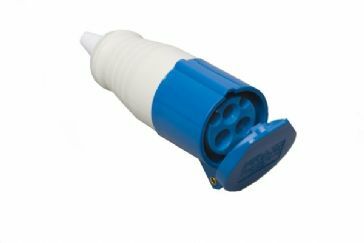 This Mains Caravan Coupler Plug 16 Amp is the perfect solution to hook up your electrical appliances in your caravan, campervan, or motorhome. 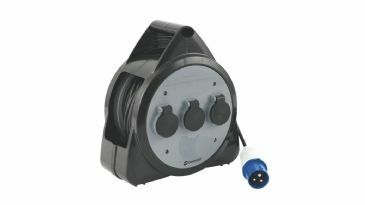 Ensure your electricity supply is running smoothly during your outdoor camping adventures with this Caravan Coupler Plug! 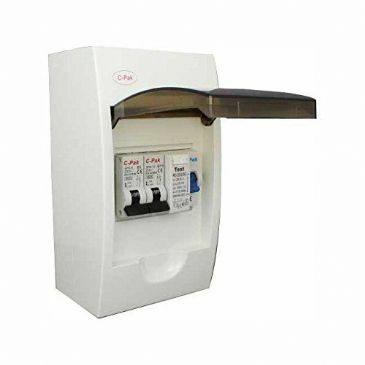 This Consumer Unit With RCD is the perfect solution to hook up your electrical appliances in your caravan, campervan, or motorhome. 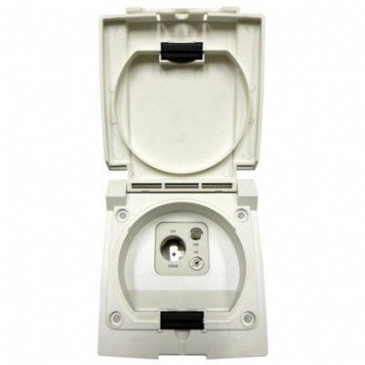 Ensure your electricity supply is running smoothly during your outdoor camping adventures with this Consumer Unit! This Mains Continental Converter Lead 16 Amp is the perfect solution to hook up your electrical appliances in your caravan, campervan, or motorhome. Ensure your electricity supply is running smoothly during your outdoor camping adventures with this Continental Converter Lead! This Mains Elegant 240v Inlet is the perfect solution to hook up your electrical appliances in your caravan, campervan, or motorhome. Ensure your electricity supply is running smoothly during your outdoor camping adventures with this Mains Elegant 240v Inlet! This Mains Inlet Angled Surface Mounted is the perfect solution to hook up your electrical appliances in your caravan, campervan, or motorhome. 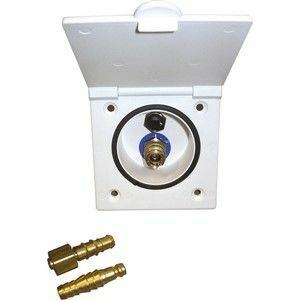 This Mains Installation Kit For Flush Fitting Inlet contains all the parts and instructions you will need to supply 240V AC electrical power to your caravan, motorhome, or campervan. Ensure your electricity supply is running smoothly during your outdoor camping adventures with this Mains Installation Kit! 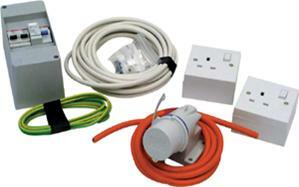 This Mains Installation Kit For Surface Fit contains all the parts and instructions you will need to supply 240V AC electrical power to your caravan, motorhome, or campervan. Ensure your electricity supply is running smoothly during your outdoor camping adventures with this Mains Installation Unit! 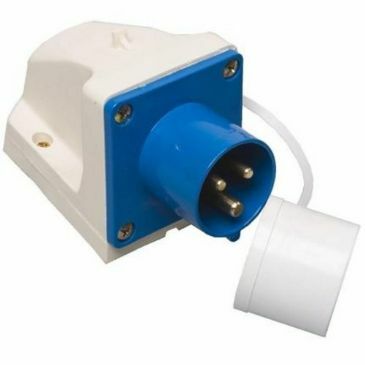 This Mains MPK 240v Inlet is the perfect solution to hook up your electrical appliances in your caravan, campervan, or motorhome. 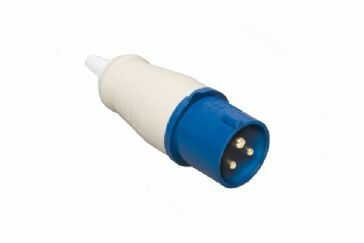 This Mains Site Plug 16 Amp is the perfect solution to hook up your electrical appliances in your caravan, campervan, or motorhome. 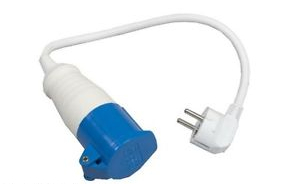 Ensure your electricity supply is running smoothly during your outdoor camping adventures with this Mains Site Plug! This Mains UK Converter Lead 16 Amp is the perfect solution to hook up your electrical appliances in your caravan, campervan, or motorhome. 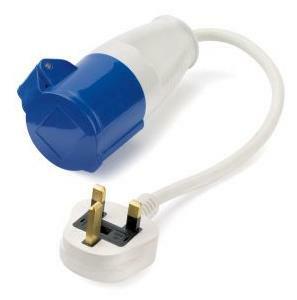 Ensure your electricity supply is running smoothly during your outdoor camping adventures with this UK Converter Lead! With electric hook-ups available on campsites home like comforts can be enjoyed by all, power, cooking, lighting and heating can call be switched on allowing you to create a comfortable outdoor living environment! Power your UK household appliances at your campsite with thanks to the Outwell Norma 3-Way Roller Kit! 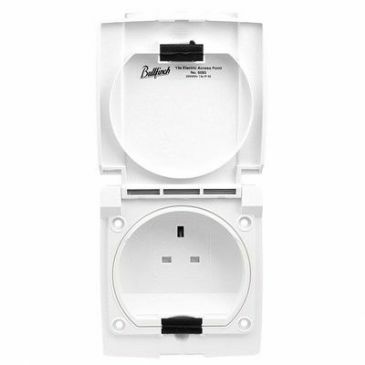 This mains kits features three UK plug sockets, perfect for providing power to your phone charger, laptop, camera charger, hairdryer and other 240v applications! White rectangular shower box complete with micro-switch and fittings. 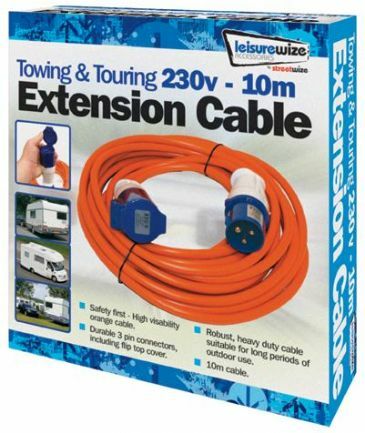 Perfect for connection generators and camping hook-up points, this high visibility cable is a safe way to get power to your caravan or motor home. 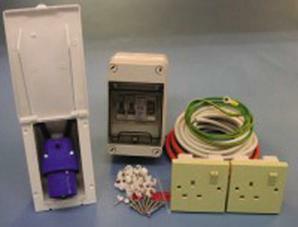 With 1x 3 pins mains plug (male) and 1x 3 pin mains coupler socket (female), it coils compactly for easy storage. 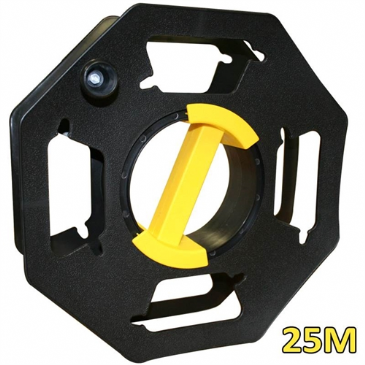 Streetwize 25m empty extension cable reel, Perfect for keeping cables tidy & secure, Made of plastic, Colour: Black/Yellow, Size: Holds up to 25m of cable. 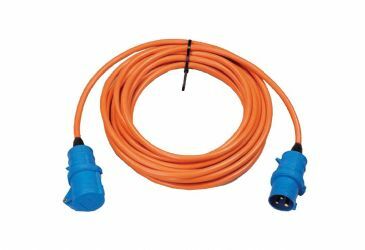 High Visibility Orange 25m Cable. 230V. 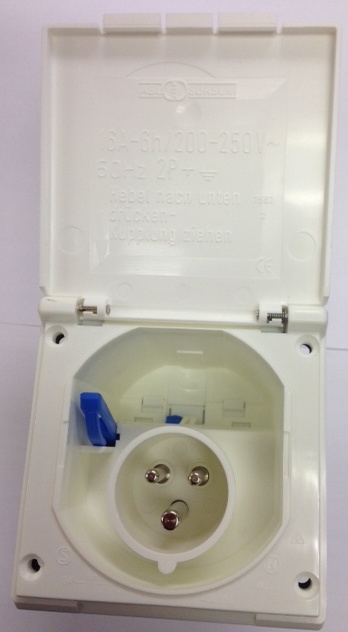 1 x 3 Pin Mains Plug (male). 1 x 3 Pin Mains Coupler Socket (female). 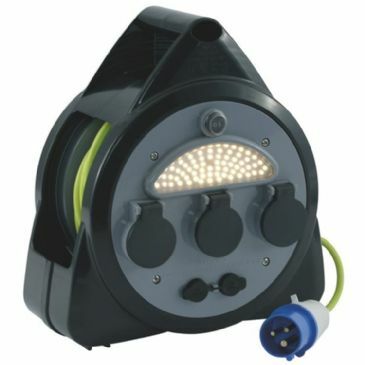 Suitable for all standard marina and caravan park power supplies.